Thanks again for all the feedback as we continue to iterate on Highlights. With the latest build on PTR, we've added the ability to change the location of recorded highlights. The caveat is that it's a little bit of a power user feature. 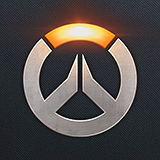 1) Make sure Overwatch is closed. 3) Find the [MovieExport.1] section. 4) Add a line for VideoPath = "<insert new path here>" and provide a path. For example: VideoPath = "C:\Users\yourusername\Desktop"
5) Save and close the file. Videos will now be saved to the new location, and the new path will appear in the client. Movie Format and Hardware Encoding options are now located in the Advanced Options dialog and can be set per recording. Movie Format defaults to Auto, and Hardware Encoding will correctly show as grayed out when recording in WebM. Resolved an issue causing corruption of recorded videos. Resolved an issue that was causes crashes when recording highlights. Correctly detecting Windows 10 N / Windows 10 NK. The client will launch correctly and will default to WebM if the Media Foundation library is not present. Awesome, thanks for all the work you guys do! I've been waiting for this for a long time, thank you. Okay, but can we get bug fixes for Reinhardt? After watching a highlight at 60 FPS and in high quality, my 30 FPS 50% render scale makes me sad now. I need to go desensitize myself again. Edit2: Basically, my recorded highlights used to show a green flickering screen, but now I can save as MP4 just fine now. Thanks! This was my biggest request for v1.13 and you fixed it immediately. Loot box changes go live when? binding keys F10 F11 F12 to the 3 highlight slots overwrites the spectator standard keys (spectate player 10 11 12 etc. ), F9 for record highlight and F1 for hero info do not for example. Recorded highlighs are vertically stretched on 16:10 display (Im talking about in-game playback, video files themself arent bugged). Adding black bars to preserve the aspect ratio (like every video player does by default) would be nice. Thanks, Blizzard! I'm really looking forward to this patch to go live. i've just edited Settings_v0.ini to record my potg in an other drive but after doing that i've lost my keybindings. I'm using an "azerty" keyboard, but keybindings reverted to qwerty. I've no clue why. Thanks for the report. We've been trying to reproduce this bug, but haven't had any luck. Are you still running into this problem, and do you have a way to reproduce it? I've tried editing, but there is no MovieExport section. Had the same issue. First had to save a replay under the 'old' settings. Afterwards the file updated itself to allow me to find/edit the MovieExport section. Any prediction of when this can be done with the ScreenShot folder? It would be a good idea too. There should be an option to cancel the highlight rendering after you started.